Young people from East Manchester are ecstatic to hear that planning approval for their brand-new £6million Youth Zone has been granted. 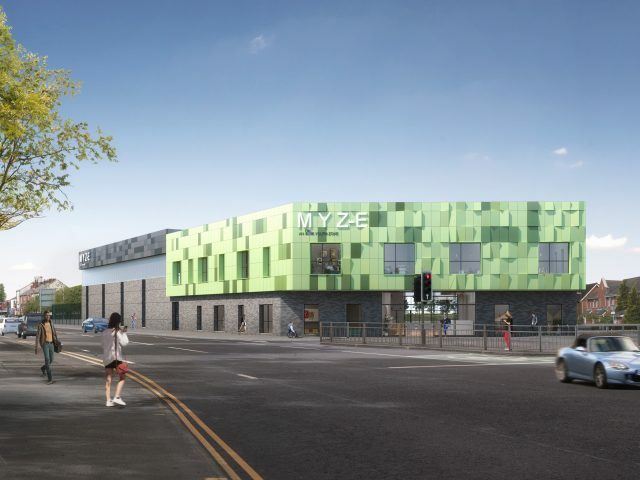 East Manchester Youth Zone will be the second OnSide Youth Zone in the city, providing a safe and inspiring place for young Mancunians to spend their leisure time, meet new people and develop new skills. East Manchester Youth Zone will be open to young people aged 8-19 and up to 25 for those with a disability 7 days per week. For just 50p per visit, members will have access to an indoor climbing wall, four court sports hall, training kitchen, music room with a recording studio, fully equipped gym, dance and drama studio, 3G kick pitch, arts and crafts room, enterprise and employability suite and much more. Lisa Mcfarlane, director at Seven Architecture commented, “Working once again with OnSide, this time in East Manchester, is a fantastic opportunity to provide another world class youth centre in the North West following planning approval of the scheme.